Every night we go through different phases of sleep - from light to deep. The secret to waking up rested and feeling more energetic and alert upon awakening is to wake up during a period of your lightest sleep. 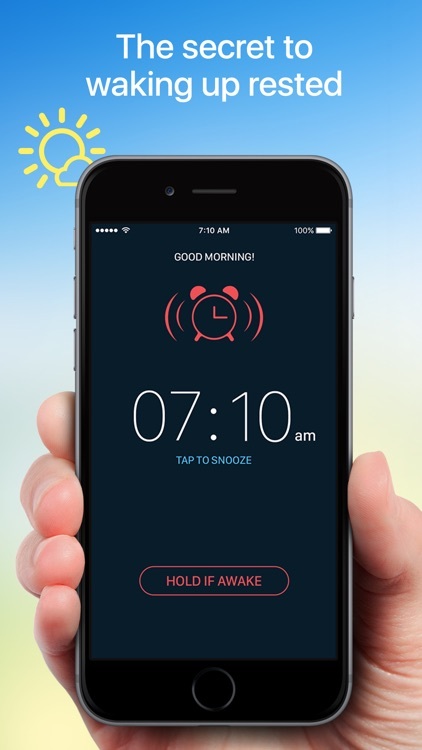 Good Morning Alarm Clock uses the iPhone’s accelerometer to monitor your movements while you are sleeping and detect which sleep phase you are in based on your body movements. It creates a 30-minute window before the wake-up time you set and goes off within this window while you're in the lightest phase of sleep so gently that it feels natural to wake up. In the morning, you also get a nightly record of your sleep in the form of a graph along with the essential stats. 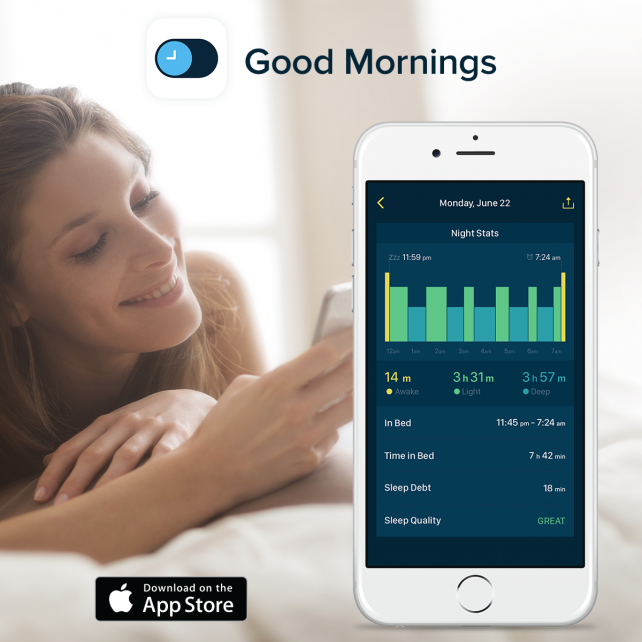 * Good Morning Alarm Clock keeps track of your sleep phases and wakes you up gently at the perfect time to help you rise and truly shine in the morning. 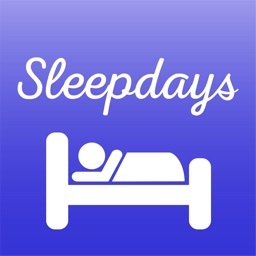 * Every morning the app provides you with the statistics on your last night’s sleep and easy-to-read sleep graph. * Gives advice on Sleep Quality. 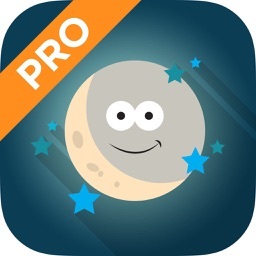 Get tips on how your sleep can be improved along with your night stats. * Aggregates weekly statistics for you. Thus you can track sleep debt, hours slept and quality of your sleep during the week and change your habits to sleep better. 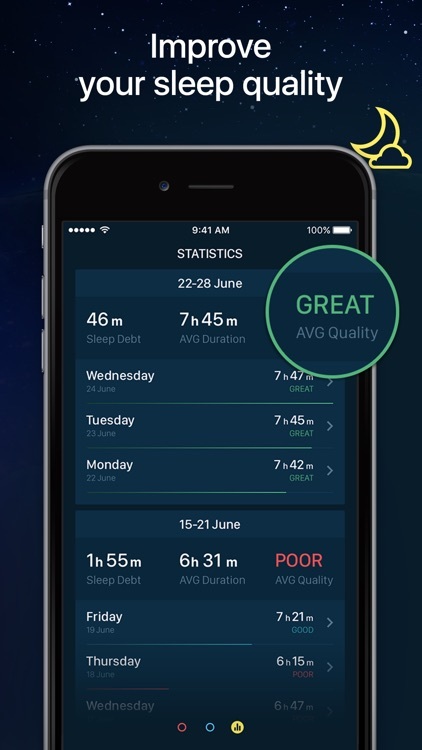 * Sends you stats reminder: No chance to forget about healthy sleep habits with a weekly summary on Sleep Debt & Average Sleep Quality. * Tracks your sleep even if the alarm is off: you don’t need to set an alarm clock on Sunday or your day off to see how you slept this night. 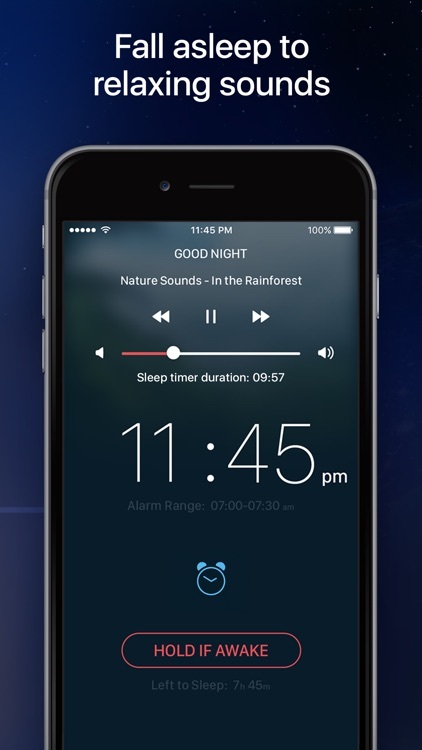 * Gently wakes you up to your favorite music or pleasant alarm tunes. * Provides weather forecast. Plan the day ahead easily - get the current weather conditions & forecast temperatures at your location. * Lulls you to sleep at night. 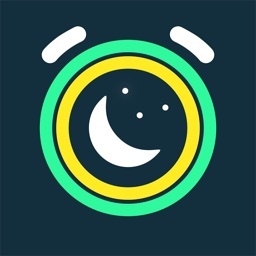 The app allows you to create your own playlist with your favorite songs or fall asleep to relaxing sounds. * Takes care of you. 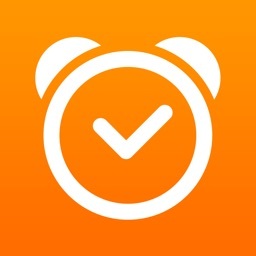 Set your Sleep Goal and Good Morning Alarm Clock will send you an alert message if it finds out that you get less sleep than you need. * Works with Apple Health. 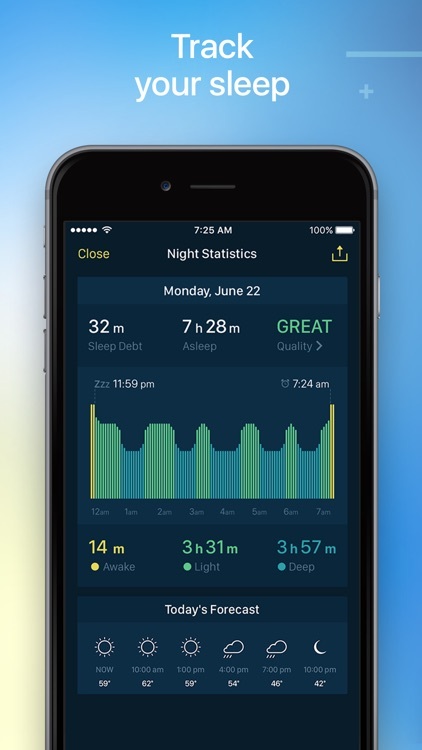 Benefit the ability to export Asleep & In Bed stats to the Health app to store all your health data in one place. * The app has 3D Touch support for iPhone 6s and iPhone 6s Plus. 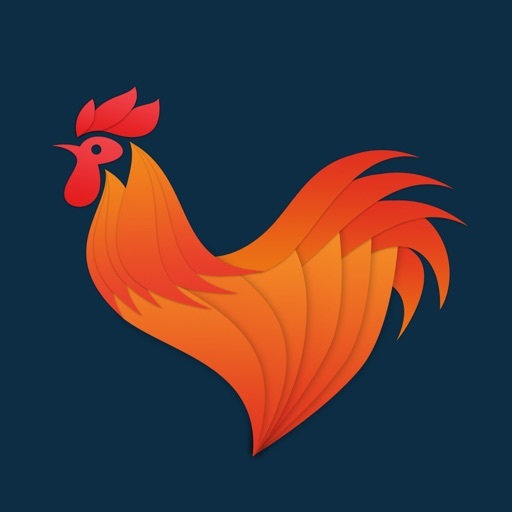 Just press Good Morning Alarm Clock icon to quickly access the most frequently used app features. Peek at your sleep stats for any night without having to actually open it with a light press, press a little deeper to Pop into it. Sleep smarter and better. Wake up smoothly. Change your mornings forever. Please note that movement from pets or a partner may impact results. *Notifications – so the alarm will ring. 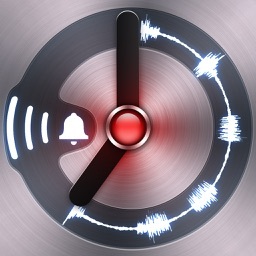 *Media Library Access – so that you can set your own music as an alarm sound. 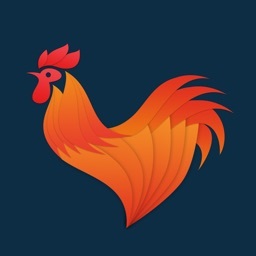 *Health App – so you can export your data to Apple Health. *Location – so you can receive the weather forecast for your area. 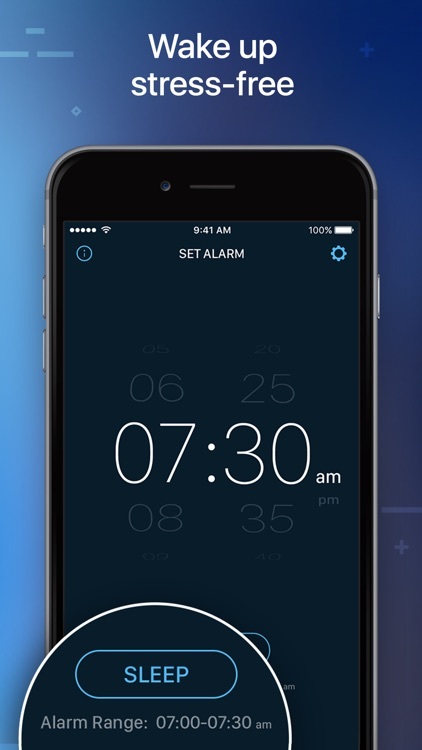 This new smart alarm clock lulls you to sleep, wakes you gently, and keeps track of your sleep quality.